I'm very interested in this sound and its resurgence in artists such as Gesloten Cirkel. Can anyone else recommend some similar material? As usual the discogs recommended algorithm is not really working. Hey music lovers, does this repress have the crazy video game noises in the run-out groove. So catchy and addicting. If this was released with a radio edit, it could be a chart topping hit! Really surprised no ones reviewed this classic. It's raw proper electro and harsh as anything, but such a good record. I can't believe it's over 10 years old as it beats most of the nu-electro around at the moment. Well worth checking if you're into the likes of Dave Clarke, Weatherall, CBS etc (but I suppose if you were into the above you'd know all about this great record already), anyway, the beats are crisp, the riffs are dead sharp and it's an abrasive slice of future music... I love it. The Zombie Nation remix of I-F his Space Invaders Are Smoking Grass is the only decent remix made of this track. It ofcourse doesn't sound as good as the original but comes way closer then other remixes that have been made. 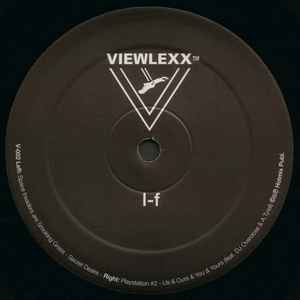 Different from the original release on I-F's label Viewlexx this release on Leaded doesn't contain the track Secret Desire which is a really good track.